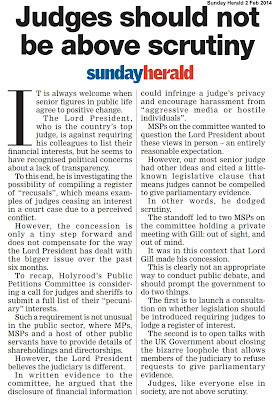 MSPs heard evidence from former SPA Chair Andrew Flanagan. THE former chair of the Scottish Police Authority (SPA) has told a Scottish Parliament Committee he felt he was left with "no choice" but to halt plans for Chief Constable Phil Gormley to return to work – after meeting the Justice Secretary & officials. 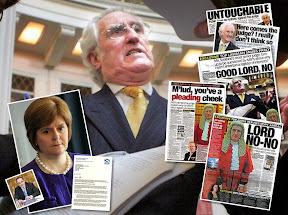 Appearing before the Public Audit and Post Legislative Scrutiny Committee (PAPLS) earlier today, Ex SPA Chair Andrew Flanagan told MSPs that the Justice Secretary – Michael Matheson – told him during a meeting it would be “bad decision” to let Chief Constable Phil Gormley return to duty. Mr Flanagan went on to say that when a second meeting took place - an hour later - Mr Matheson - now with three officials alongside him – changed and focused on the “process” behind the decision instead. Mr Flanagan said that after an hour’s break in which he attended a committee, he was was recalled to Mr Matheson’s office, where three officials had joined the Justice Secretary. 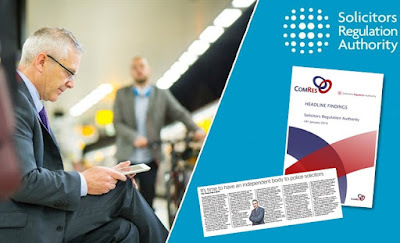 He said: “It was clear that the Cabinet Secretary was still very unhappy, but he changed to discuss the process rather than the decision itself. Alex Neil MSP (SNP) asked Mr Flanagan whether he had "lied" to Mr Livingstone he deflected a query about Mr Gormley’s return - after the SPA had decided in favour - with a text message saying “deliberations were ongoing”. Mr Flanagan said: "No, I don't think I did." Mr Neil also excoriated the whole SPA board’s handling of the matter, saying its non-executive directors had “utterly failed in their duty” and should fall on their swords. 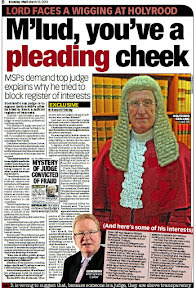 Andrew Flanagan’s evidence to the PAPLS Committee has now cast doubt over Mr Matheson’s version of events which the Justice Secretary gave to MSPs earlier this week. The differing accounts of Mr Flanagan & Justice Secretary Michael Matheson of what happened during their meeting relate to discussions around the Scottish Police Authority’s decision to allow Chief Constable Phil Gormley – who is currently on ‘special leave’ to return to his post last November. The SPA Board had decided Mr Gormley could resume his duties, and had compiled draft Press Releases announcing their decision – but the decision was reversed after the meeting between Andrew Flanagan & Michael Matheson. 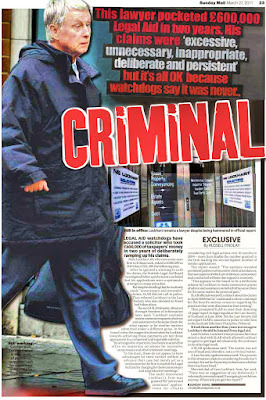 It also emerged the Scottish Police Authority did not consult the watchdog investigating complaints against Mr Gormley – which led to him being put on special lave, nor was the acting Chief Constable – DCC Iain Livingstone, told in advance of the SPA’s decision to return Mr Gormley to work. In an earlier account of events to the Scottish Parliament, Mr Matheson said s his concern was with the process behind the decision to allow the Chief Constable to return to work, rather than the decision itself. Mr Matheson claimed he had and he had merely requested the SPA “reconsider” the decision to return Mr Gormley to his duties. 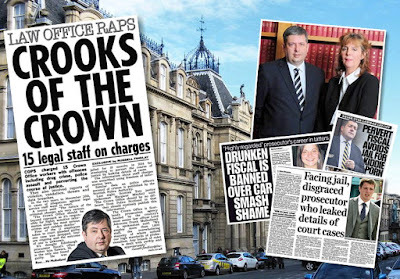 During Matheson’s account of events, it also transpired there was no notes or minutes taken of the meeting with Andrew Flanagan – a habit of secrecy now often indulged in by Scottish Ministers to avoid disclosure and potential Freedom of Information requests. and on Tuesday, the acting Chief Constable of Police Scotland – DCC Iain Livingstone, appeared alongside Susan Deacon, the new Chair of the Scottish Police Authority at the Scottish Parliament’s Justice Committee to give evidence on what he had not been told of the SPA’s decision to return Phil Gormley to work. 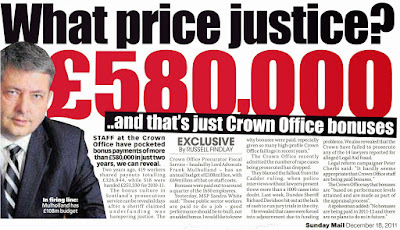 While the battle over who said what to who, between Scottish Ministers & former bosses at the Scottish Police Authority continues, readers will be well aware of a number of suspensions of senior offices at Police Scotland, and a drip drip feed of complaints against current Chief Constable Phil Gormley, the latest of which appears to have been made by the Scottish Police Federation. Why exactly, many may wonder, is this debate around suspensions of top cops & dodgy decisions at the SPA relevant. Well, the answer is that what has come out in this debate, shows a train of Ministerial intervention on the sly, without using the powers of Ministerial direction. 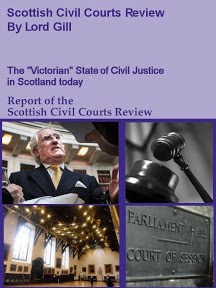 And, perhaps more importantly for the community at large, the amount of backstabbing, allegations & counter allegations against other senior Police officers has revealed the highly factional management of Police Scotland, where ambition and power is just as prevalent as in politics and other sectors of public life, and the corporate world. 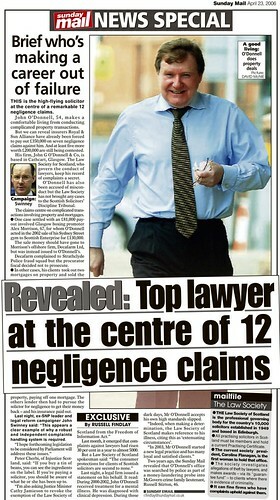 Further reports in the media tonight feature comments from a spokesperson for Mr Gormley's legal team – who criticised the "unnecessarily protracted process" and the fact that that the chief constable has yet to be interviewed, seven months after he volunteered to step aside to allow the Pirc to secure evidence. 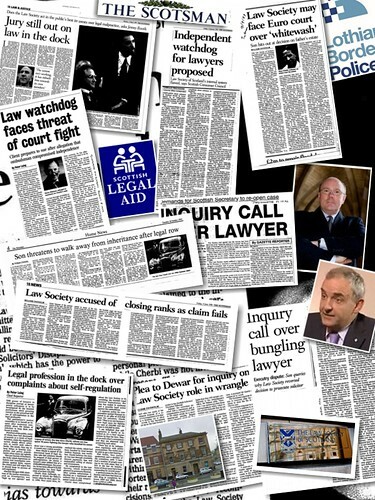 A spokesperson for the Chief Constable's legal team commented: “Throughout this unnecessarily protracted process Chief Constable Phil Gormley has co-operated fully with all parties to allow this matter to reach a fair and proper conclusion, whilst maintaining his denial of all of the allegations against him. It should be remembered that it was the Chief Constable who volunteered to step aside temporarily to enable the evidence required to be secured by the PIRC. No-one could have anticipated that, seven months on, the Chief Constable himself would not yet have been interviewed to put his evidence forward in oral representations. 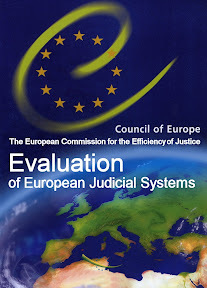 The evidence this morning at the Scottish Parliament Public Audit Committee of the disagreement between the Cabinet Secretary for Justice and the SPA regarding his return to full operational duties (which has still yet to be implemented), is of serious concern. 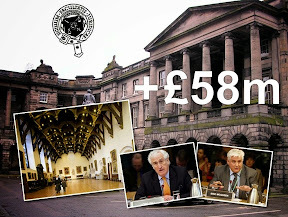 The Chief Constable’s professional reputation, career and welfare have been eclipsed by a public battle of wills between the SPA and the Scottish Government. Tribunals - dominated by wealthy, powerful individuals & professional groups. 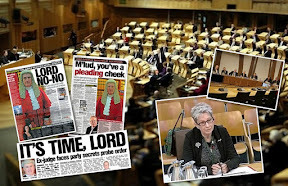 AMID recent moves in a Scottish Parliament investigation considering a way forward for judges to register their interests, an ongoing media probe of individuals and professional groups who dominate tribunals has revealed ties between tribunal judges and solicitors found guilty of professional misconduct. In one case, an employment tribunal judge who has featured in several controversial tribunal decisions has been found to have links to a lawyer found guilty of professional misconduct by the Scottish Solicitors Discipline Tribunal (SSDT). 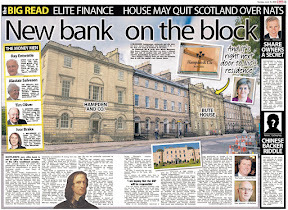 The lawyer, who escaped penalty was found guilty by the SSDT in respect of misleading the Royal Bank of Scotland as to the purpose of obtaining loan funds from the Bank on the basis that they were required to purchase a property in Scotland when the truth was that they were required to purchase a property in an EU country. 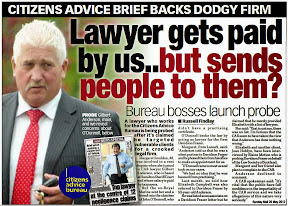 The solicitor involved in the deception case , and now linked to the Employment tribunal judge - advertises himself as an “employment law specialist”. 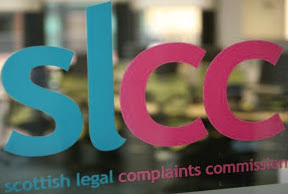 In a further case currently being probed by the media, a second tribunal judge has been found to have links to an Edinburgh law firm accused of embezzling tens of thousands of pounds from client accounts, in a complaint which is currently under investigation by legal regulators. 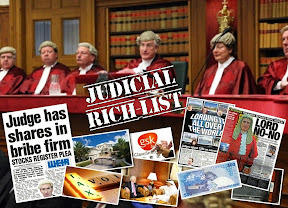 The two cases of potential conflicts of interest for Tribunal judges, and emerging cases of other conflicts of interest at tribunals come as the Judicial Office announced in January the appointment of twenty eight Tribunal judges – without any declarations of interest or background. Earlier this month, the Judicial Office announced the appointment of fourteen new Employment Judges to the panel of judges of Employment Tribunals (Scotland). 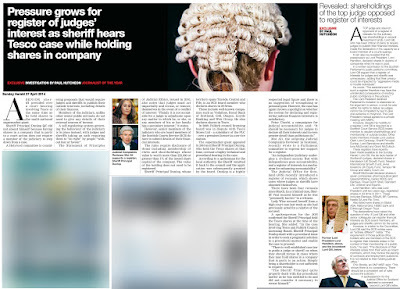 By virtue of the power conferred upon the Lord President by regulation 8 of the Employment Tribunals (Constitution and Rules of Procedure) Regulations 2013, Lord Carloway appointed Claire Marie McManus, Muriel Robison and Mark David Whitcombe as salaried Employment Judges. Ms McManus and Ms Robison were appointed with effect from 1 January 2018, while Mr Whitcombe’s appointment will take effect from 5 March 2018. A further round of appointments of Pensions Tribunal judges was made earlier today, revealing another fourteen new members have been appointed by Lord Carloway to the Pensions Appeal Tribunal for Scotland. The Lord President appointed David McNaughtan, advocate; Robert Milligan QC; David Short, solicitor; and Nick Gardiner, advocate, as Legal Members. The appointments came into effect on 11 January 2018 under the powers conferred upon the Lord President by paragraph 2 of the Schedule to the Pensions Appeal Tribunals Act 1943. The selection process for both round of appointments followed a closed-doors recruitment exercise calling for applications from suitably qualified individuals who wished to be considered for appointment. 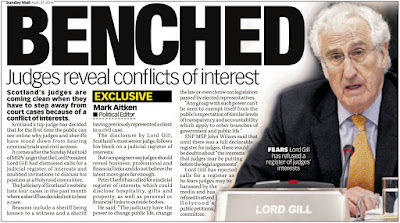 Currently, not one member of any tribunal is required to declare their interests in a published register of interests – despite their position as a judge, deciding on cases before them where they could have a vested interest in the outcome. 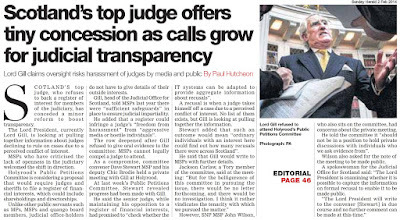 a call has been made for all tribunal members to declare and register their interests. 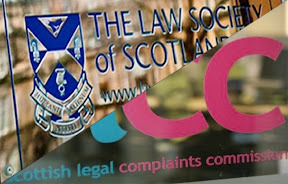 In October 2017, the Scottish Courts & Tribunals Service (SCTS) confirmed they and Her Majesty’s Courts and Tribunals Service (HMCTS) have decided to rationalise their accommodation and move jointly into the new centre – which is being rented out at nearly £2million a year from the Moorfield Group and partners Resonance Capital. 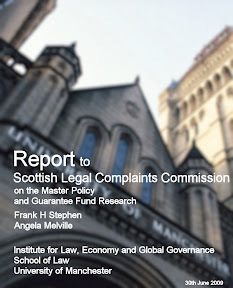 A full report on the earlier appointments round can be found here: TRIBUNAL REGISTER: Calls for transparency as legal & wealthy, well connected interests dominate Tribunals system membership - Register of Recusals & Interests should be extended to cover all Tribunals in Scotland. 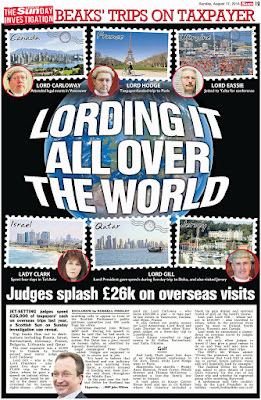 Lady Wolffe was set to hear court case against her own husband. 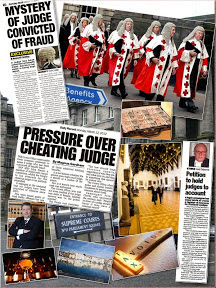 SCOTLAND’S judiciary continue to face fresh allegations of concealing conflicts of interest after it emerged a multi million pound damages claim against the Lord Advocate and Scotland’s Chief Constable for wrongful arrest and financial damages – was set to be heard by the Lord Advocate’s wife – who is a judge in the Court of Session. 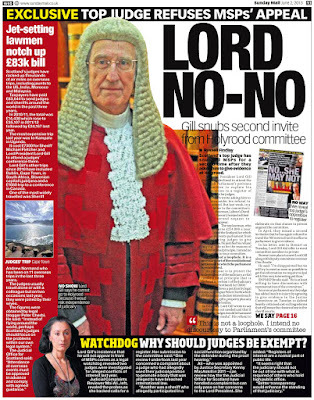 And, it has now emerged a series of judge swaps on this case, from Lady Sarah Wolffe, to Lady Morag Wise, then Lord Paul Arthurson - has led to a FOURTH judge – Lord Sidney Neil Brailsford - presiding over hearings in a case which could also decide the fate of the Lord Advocate’s immunity from legal action in cases of wrongful arrest. 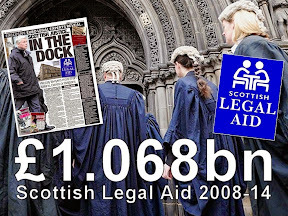 The NINE million pound damages claim against Scotland’s top cop and top prosecutor was lodged in the final months of 2017 by David Whitehouse – a former administrator at Rangers FC – who is seeking financial damages from Police Scotland's Philip Gormley and Lord Advocate James Wolffe QC. 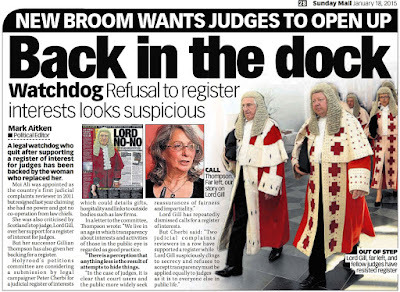 However, it emerged at a hearing in November the Scottish Courts and Tribunals Service (SCTS) had quietly scheduled Lady Wolffe to preside over a crucial hearing in the case against her own husband – James Wolffe QC. 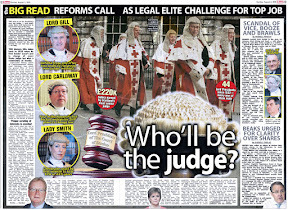 A copy of the Court Rolls handed to the media revealed Lady Sarah Wolffe QC – an outer house senator of the Court of Session – was scheduled to hear the case involving the claim involving the Lord Advocate - her own husband - A295/16 David Whitehouse (represented by Urquharts) v Liam Murphy &c (represented by Ledingham Chambers for SGLD - Scottish Government Legal Directorate) - on November 15 2017. Prosecutor Liam Murphy who is named in the action - is currently listed as a Crown Office Procurator Fiscal on “Specialist Casework”. However, Lady Wolffe was removed from the hearing with no official comment from the Judicial Office. 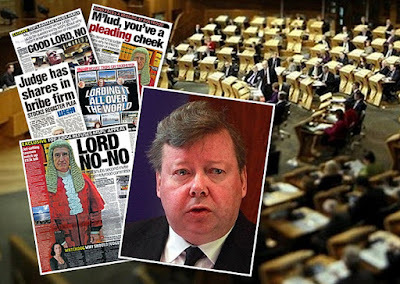 Claims surfaced at the time Lady Wolffe was suddenly dropped from the case when it ‘emerged at the last minute’ her husband – Lord Advocate James Wolffe - was involved in the case. 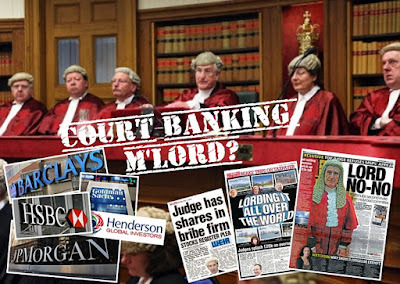 A second Court of Session Judge - Lady Morag Wise QC - was then scheduled to hear the case. 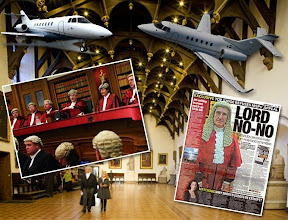 For reasons which have not been fully explained, Lady Wise was also dropped from the hearing on Wednesday 15 November which saw the case handed to a third judge – Lord Paul Arthurson QC – who set dates for a four day hearing of legal arguments. 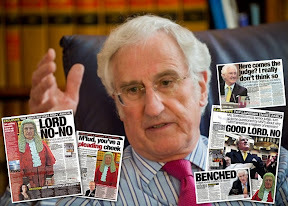 However, when the £9m damages claim returned to court in mid December, yet another judge – Lord Sidney Neil Brailsford had been assigned to the case, replacing Lord Arthurson. 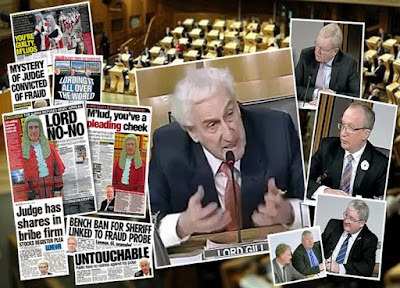 During a hearing at Edinburgh’s Court of Session on 14 December 2017, judge Lord Brailsford arranged for a debate on legal issues surrounding the case to take place over four days in May 2018. 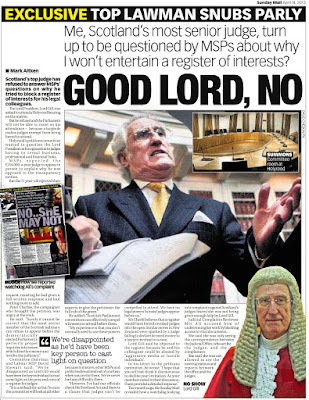 The trail of judge swapping – leading to at least four judges who have now heard this case in the Court of Session, and the silent replacement of Lady Wolffe with Lady Wise, and then Lord Arthurson – continues to raise serious questions as to why there are no written references to any note of recusal made by Lady Wolffe in the Register of Recusals published by the Judicial Office. 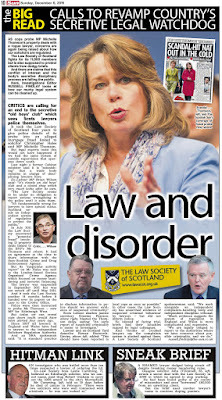 Given the fact Lady Wolffe clearly holds a conflict of interest in the case – in which one of the core participants in the action is her own husband – the Lord Advocate – the public are entitled to see a note of recusal entered into the Register of Recusals referring to a case in which she was scheduled to hear and decide on legal action against her own husband. 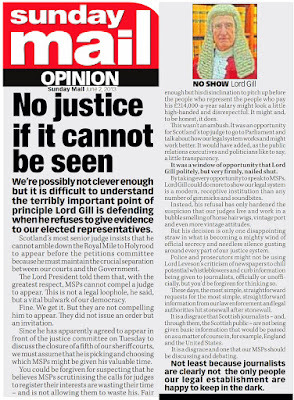 Since the last hearing in the case on 15 December 2017, legal insiders have poured scorn on explanations offered by the Scottish Courts over decisions taken which would have seen the Lord Advocate’s own wife hear and rule on the court case involving her own husband. 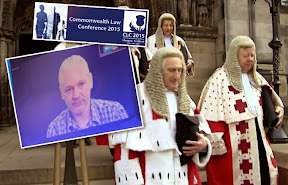 Sources have since claimed there was ‘no mistake’ involved in the selection of Lady Wolffe for the hearing in November. 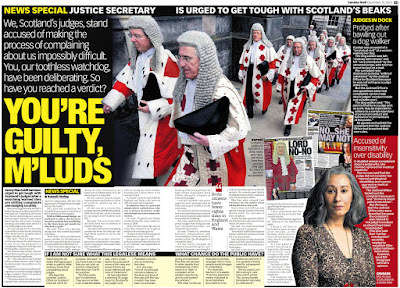 “It is therefore ridiculous for anyone to claim the Keeper’s Office or anyone else within the Judicial Office or courts is unaware of Lady Wolffe’s status as the wife of Lord Advocate James Wolffe”. 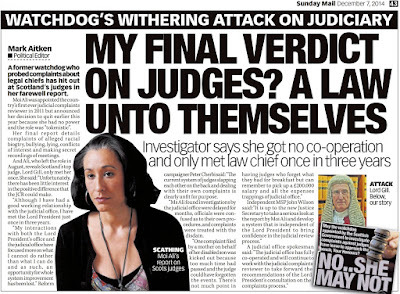 Lady Sarah Wolffe was originally scheduled to oversee a hearing in David Whitehouse's £9m lawsuit against Lord Advocate James Wolffe. 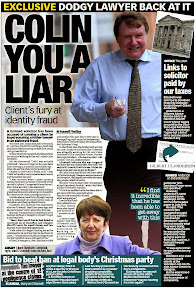 A former Rangers administrator’s £9million lawsuit against Lord Advocate James Wolffe was given an emergency judge swap – after it emerged the case was originally handed to his wife. 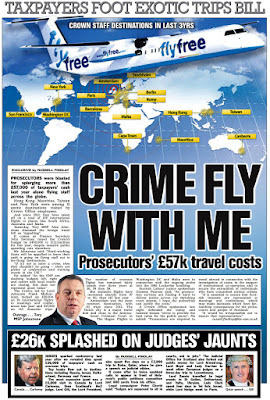 David Whitehouse, 51, is suing Wolffe, Police Scotland chief Phil Gormley and prosecutor Liam Murphy amid claims he was “unlawfully detained” during an investigation into Craig Whyte’s doomed 2011 club takeover. 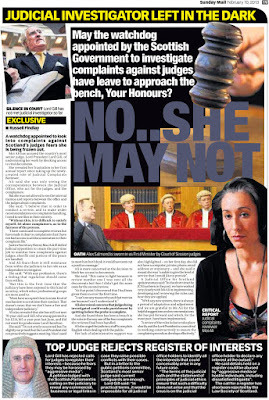 Court officials had to draft in a replacement judge when they realised Wolffe’s wife Lady Sarah Wolffe was scheduled to sit on the bench for a procedural hearing at the Court of Session in Edinburgh last month. The late switch from Lady Wolffe was ordered after the conflict was discovered. Lady Morag Wise was asked to take her place, although the hearing eventually went ahead in front of Lord Paul Arthurson. 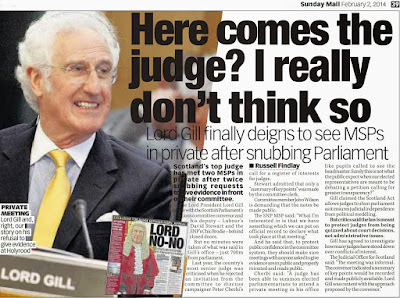 Yet another judge, Lord Neil Brailsford, was on the bench when the case was called again earlier this month. It is scheduled to go ahead next year. 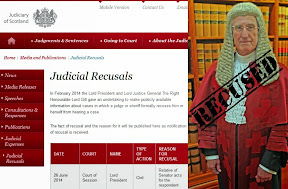 The removal of Lady Wolffe is not noted in the official list of judicial recusals – where a judge declines jurisdiction – as it was reallocated before it was called in court. 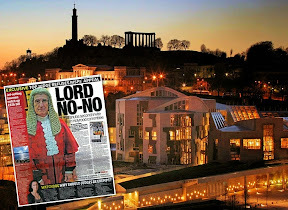 A Scottish courts spokesman said: “Lady Wolffe was assigned to hear procedural matters in a number of cases on November 15. 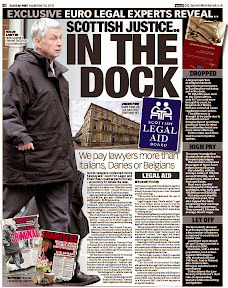 “One of those cases was listed on the court rolls as David Whitehouse v Liam Murphy and others. 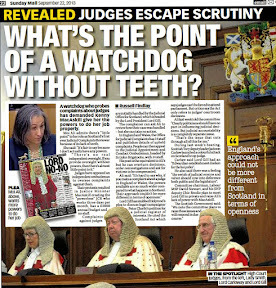 “Subsequently, when the papers were checked by the Keeper’s office, it became apparent the Lord Advocate was the third defender and, accordingly, the case was reallocated to a different judge. Whitehouse and colleague Paul Clark were arrested during the Rangers probe but charges against the pair were later dropped. They worked for Duff & Phelps, who were appointed as administrators of the club in February 2012. The business and assets of The Rangers Football Club plc, who entered liquidation later that year, were sold to a consortium led by Charles Green for £5.5million. Police launched an investigation into the circumstances surrounding the takeover. 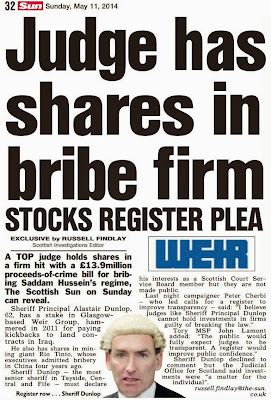 Whyte was cleared of fraud by a jury at the High Court in Glasgow in June. Lawyers acting for Whitehouse claimed their client was “unlawfully detained” by detectives in November 2014. They also said that, throughout the period of detention, there were no reasonable grounds to suspect he had broken the law. Whitehouse claims police and prosecutors didn’t follow correct legal procedure and his arrest damaged his reputation and caused him significant loss of income. 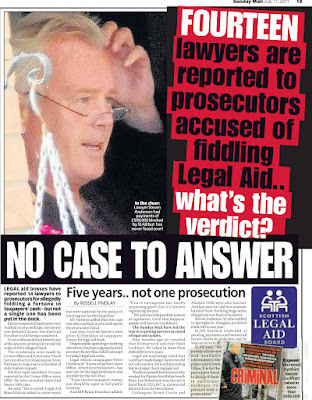 The defenders in the action, including the chief constable and Lord Advocate, claim correct legal procedure was followed and want his case to be dismissed.